Global warming: Lamar Smith's conspiracy ideations. 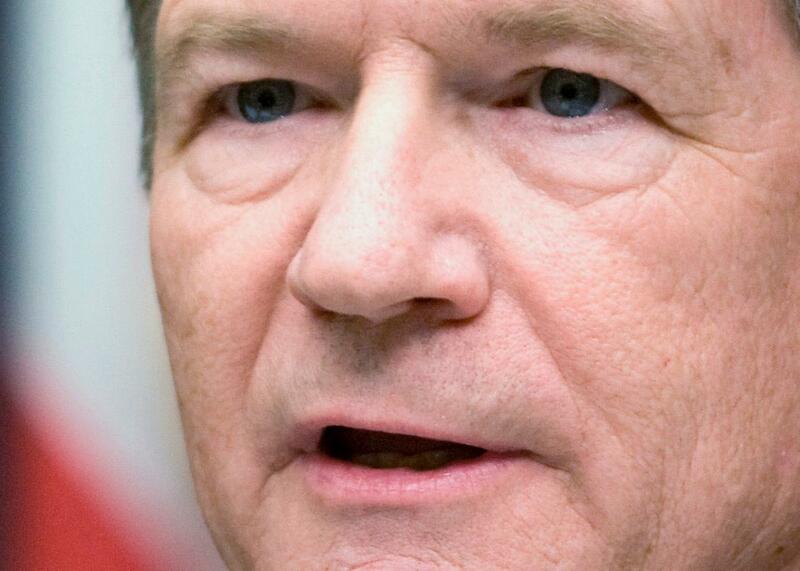 Rep. Lamar Smith, R-Texas, is now a full-blown conspiracy theorist. On Monday, I reported on a slimy attack on the National Oceanic and Atmospheric Administration by Rep. Lamar Smith, R-Texas. Smith is chairman of the House Committee on Science, Space, and Technology, and a man with his head firmly in the sand when it comes to global warming—an issue NOAA studies very carefully. However, because NOAA understands that global warming is real, and has said so, they have become the target of Smith’s ire. He has used his power of congressional subpoena to coerce the head of NOAA, Kathryn Sullivan, to hand over all data and emails from scientists on their use of global satellite data. This is clearly a fishing expedition; he’s looking for ways to humiliate the agency, and also to tie them up in administrative knots. In a very harshly worded letter, his co-committee member Eddie Bernice Johnson, D-Texas, accuses him of overreaching and abusing his power, noting (correctly) that neither he nor his staff is qualified to examine the data. To me, this stinks of McCarthyism. But now there’s more news. YES. This is precisely how it should be, and Smith’s gross overstepping of bounds is proof of that. If NOAA hands over the documents, then they are acquiescing to political pressure, partisan political pressure, I’ll add, which is completely removed from the scientific process. And given Smith’s clearly anti-science view of global warming, this pressure is antithetical to the scientific process. It was inconvenient for this administration that climate data has clearly showed no warming for the past two decades. The American people have every right to be suspicious when NOAA alters data to get the politically correct results they want and then refuses to reveal how those decisions were made. NOAA needs to come clean about why they altered the data to get the results they needed to advance this administration’s extreme climate change agenda. The agency has yet to identify any legal basis for withholding these documents. The Committee intends to use all tools at its disposal to undertake its Constitutionally-mandated oversight responsibilities. Holy. Wow. For years I have been stressing that belief in anti-science has very real consequences, and now here we are. The chairman of the House Science Committee is attacking a science agency because of a conspiratorial belief that is utterly wrong. His claim that the world isn’t warming is simply wrong. The so-called pause in warming has been shown not to exist, and it goes well beyond just NOAA data; multiple agencies around the world have data to show this (see, for example, this, and this, and this). We’ve known this for years now, and in fact not only is there no pause, but warming hasn’t even slowed. As for “altering” data, that’s laughable. Data isn’t some revealed knowledge from scientific instruments; it’s made of measurements and is therefore subject to all sorts of issues that can artificially bias the results. What Smith calls “altering” scientists call “calibrating” or “normalizing” or “removing the bias from.” For example, some temperature readings may have been made using different methods, different instruments, and those have to be adjusted to each other to account for the difference. That’s precisely what NOAA scientists did in this case. This is a common, standard, and wholly necessary scientific practice, not some nefarious scheme to cater to the White House’s agenda. Even funnier is that the adjustments made to the data are very small, and do nothing to change the very clear fact that we’re heating up. This is the correction made by NOAA that Smith is weaving his conspiracy theory with. Yes, seriously. Graph from Karl, et al. The fact that Smith can’t or refuses to understand this very, very basic idea makes me even more upset that he is in charge of congressional oversight for so many scientific agencies. It’s appalling that it’s come to this. Oh, and by the way? Those temperature data from NOAA are already public. Given that this current GOP rails against government waste, this is doubly ironic. The Union of Concerned Scientists has more about this, as does Roll Call. Mind you, I am all for accountability and oversight (here’s an excellent example, though not one I bet Smith would approve of). That’s not the issue here. The issue is the overreach of such demands from a congressional committee that clearly has no grasp of what it’s asking for, and is therefore grasping at straws.